Some crystals and stones relate to the energy of the throat chakra and can enhance and balance the chakra's energy. 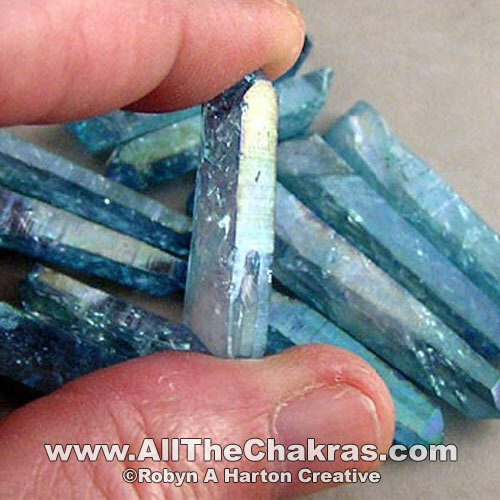 Aqua Aura is a throat chakra stone. most blue and turquoise color stones. Most blue and turquoise stones are related to the throat chakra. Crystals of other colors may also be related to the throat chakra. Crystals and stones may also be related to multiple chakras. 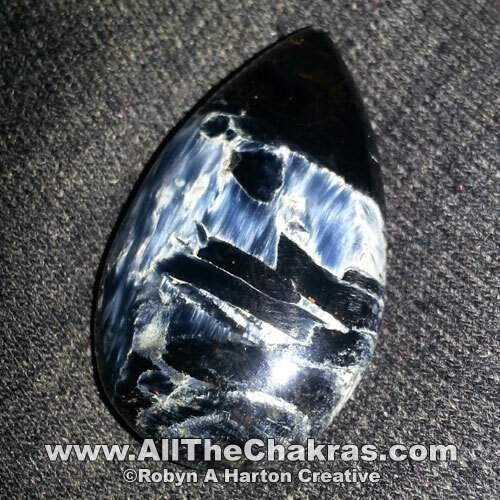 To bring the energy of the crystal to the throat chakra, wear one of the throat chakra stones in a pendant or lie with the stone at your throat chakra for a few minutes. The Sanskrit name of the Throat Chakra, the fifth chaka, is Visshuda. This energy center is related to communication, expression and truth, as well as other things. It is also said to be the center of transformation and change. "I express my truth clearly." Visshuda in Sanskrit means "purity" or "purification." This chakra, the fifth chakra, is considered a "higher" chakra because it is in the top three of the seven major chakras.